Sonya Nesch earned master's degrees in Sociology from Utah State University, and in Management with a Department of Labor fellowship in Manpower Planning and Administration from the University of Utah. She interned with various local and state agencies. She has had a long career in both the public and private sectors as a teacher, manager, and consultant. 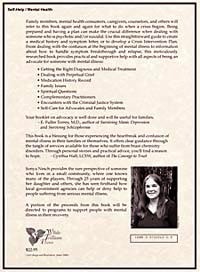 She joined the National Alliance on Mental Illness (NAMI) in 1986, facilitates NAMI Family Support Groups, and teaches NAMI   Family-to-Family Education classes. Sonya speaks about mental illness to various groups (service, government, college, high school, teachers of people with developmental disabilities, counselors working with people who are challenged by substance use disorder and mental illness, study, interfaith, church and hospital chaplaincy). She writes articles to provide information that empowers people to act on behalf of themselves and others. She has advocated for her daughter and many others for 25 years. 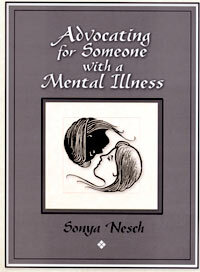 Sonya also advocates for effective County and State supports and services for people who suffer from mental illness. 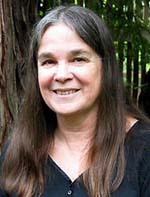 She received a 2005 “Women Change America” award from the Mendocino County Women’s History Coalition for “the myriad ways in which her spirit, courage, & contributions have added to the vitality and richness of our community.” She lives in a redwood forest on the Albion River in Northern California. You can contact Sonya via email to discuss her book, speaking engagements or consulting.